This year marks the 50th anniversary of the 1968 student movement. In that year, many literary magazines were published in Mexico with the purpose of generating a platform for the spectrum of work created by artists of the time. A few of many were: La Cultura en México, Diálogos, El Rehilete, and among them, El Corno Emplumado / The Plumed Horn, edited by Mexican poet, Sergio Mondragón and north American poet, Margaret Randall. The journal had an abrupt ending due to the repression suffered by the editors who protested against the violent actions in Tlatelolco. El Corno, with its posture of resistance against social injustice, was published in a critical moment of the history of the American continent. Towards the end of the 1950s, North American, Mexican and South American Poets were migrating out of their countries due to the political persecution that had been initiated by communist paranoia in the years following the Second World War, which saw the beginning of a new global tension: The Cold War. The United States especially endured the effects of the “red scare” in the form of McCarthyism (1950-1956). Shortly after, the United States took on yet another external conflict, the intervention in Vietnam (1961-1975), which further triggered indignation among the younger generations, expressed in a series of massive protests against the war. 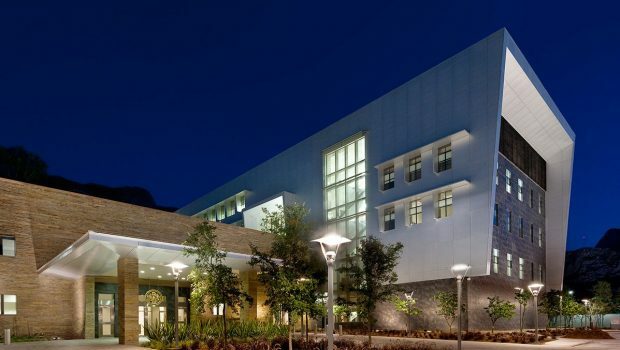 In these protests, art and ideology converged, especially among the counterculture groups of the time, such as, the Black Mountain College or the Beat Generation. Those rebellious poets critiqued and denounced the US government for its eagerness to dominate others. 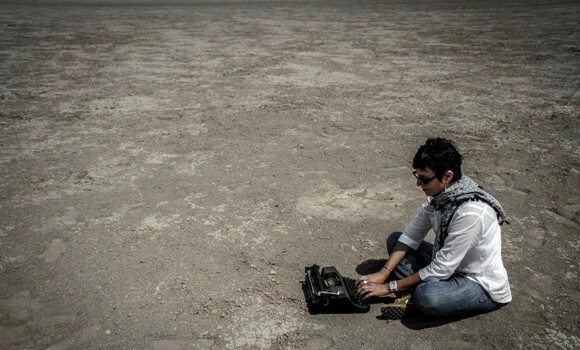 Tired of such abuses, and of the system that repressed them, many American poets, decided to travel to Mexico in search of freedom of speech and other liberties. 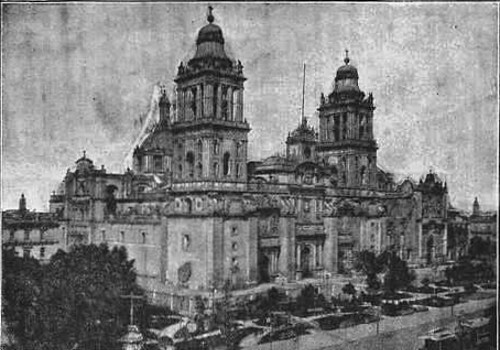 In 1959, Margaret Randall, then a 24 year old poet associated with the Black Mountain and Beat scene, moved to Mexico City. 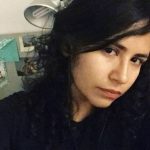 She, like many others, thought that in Mexico her leftist opinions would be better received, unfortunately, once there, she would live in cold flesh the ruthless abuse of an authoritarian government capable of silencing its citizens. By the 1950s, corruption had widened the gap between ideal democracy and real democracy in Mexico, but the government, obstinate on portraying a stable image, tried to stop any possible critique. One of its tactics was cooptation: in the cultural sphere, the government began to subsidize newspapers, literary magazines and other publications in order to silence the intellectual class and avoid future revolts. El Corno was one of the many publications that received monetary benefits from the Mexican government. Needless to say, the expenses of the magazine were not fully covered by this support, which is why many other artists contributed to sustain it: Agustí Bartra, Ernesto Cardenal, Thomas Merton, Julio Cortázar, Norman Mailer, Henry Miller and Samuel Beckett were only a few of the many who donated money. Also, poetry readings were sometimes held in different cities in support of El Corno. The idea of a quarterly bilingual arts and literature magazine hatched in Phillip Lamantia’s apartment in the Zona Rosa, a gathering place for traveling artists, writers and musicians interested in the United States Beat creativity and Mexico’s contemporary poetry scene. 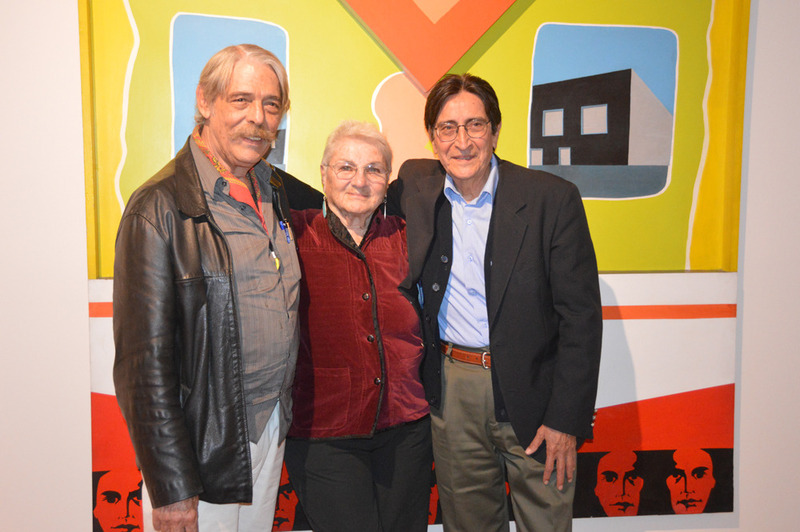 During those get-togethers, Lamantia, Homero Aridjis, Ernesto Cardenal, Juan Martinez, Harvey Wollin, Sergio Mondragón and Margaret Randall met and began sharing their texts in their mother tongue and interpreted each other’s works, yet sometimes not everything was captured; linguistic and cultural barriers were in the way. The need to better understand one another, led Mondragón, Randall and Harvey Wollin (co-editor of the first two editorials) to craft a cosmopolitan magazine. 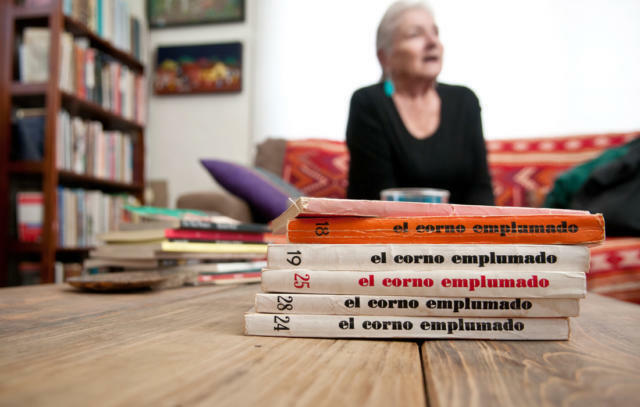 From January 1962 to July 1969, 31 editions of El Corno were published. Some of the editor’s main goals were to show other forms of creation that came from different parts of the world; facilitate a cultural exchange between Spanish and English speaking nations; spread the pacifist ideas of the time which came from a marked spiritual and social conscience; and to contribute to a coming together between Latin American and north American writers, two cultures supposedly irreconcilable in a time when the United States government was the most visible repressor of the Latin American nations. In 1964, the editors of El Corno oversaw the making of three book collections totaling 21 texts printed with the journals seal: Colección Acuario, collections of Latin American and North American poets with their respective translations along with illustrations; La Llave, texts only in English; and Colección La Ola, dedicated to the arts. Once inside the nest of El Corno, a true symbol of the libertarian and creative struggles of the time can be found. Back then, the atmosphere was coated with a revolutionary enthusiasm brought about by the Cuban Revolution, the editors too were receptive to this frenzy. They absolutely believed that it was possible to change the world through literature. Unable to stay blind towards social problems, El Corno would gradually become more politically involved. Through the magazine, Mondragón and Randall fought for justice, liberty, equality, and respect towards others; reachable through fraternity between artists, and intellectuals who were also socially aware. Such lofty goals determined the direction of El Corno: on the one hand, it paid a particular attention to poetry (at the beginning of its publication, a more spiritual driven poetry, as well as love, existential and descriptive poetry were all being published, but towards the middle [1966-1967], political poetry was favored); on the other hand, as a sort of miscellaneous literature, short story, theater, essays, novel fragments and some interviews were also included. These collaborations were joined with plastic and visual arts: photography, paintings, illustrations, which in most cases were not related with the texts, but did express the aesthetic preferences of the editors. 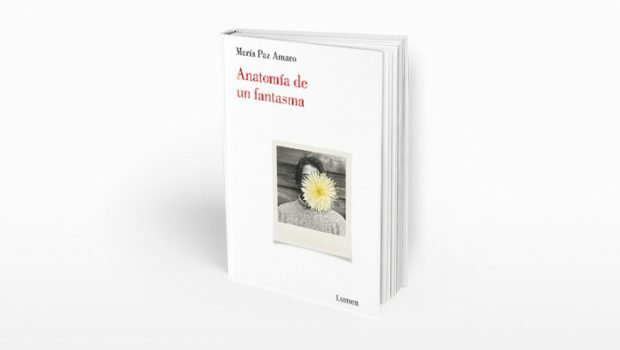 Illustrations by Leonora Carrington, Felipe Ehrenberg, Roland Topor, photography by Nacho López and many more were printed. Also, a place for letters was reserved towards the end. This correspondence between collaborators, readers and editors, now allows a reconstruction of the literary context of the time. By 1966, El Corno was a consolidated escape valve for writers and artists in search of a place to express their political concerns during a period signaled by revolution, wars and totalitarianisms. It allowed many Mexican poets to be known in the northamerican culture, and for various poets of other times and cultures to come into contact with Mexican readers. 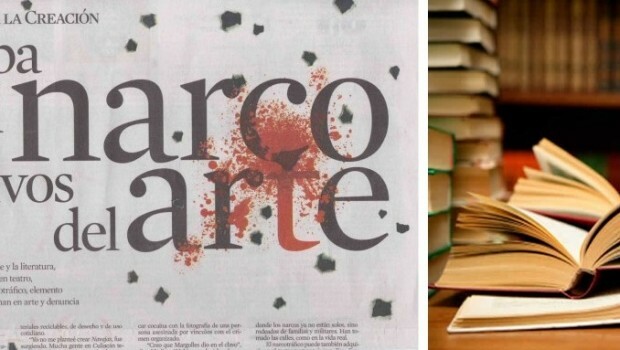 The 35 poetry anthologies from 18 different countries published in the journal made El Corno a distributor of international literature in Mexico. Grouping the poems also allows the reader to see a formal and thematic unity in the literature of the American continent. Some of the most important anthologies were the contemporary Mexican ones. 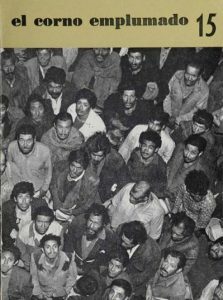 Groups like, La Espiga Amotinada or poets without a group were published. Efraín Huerta, José Carlos Becerra and Octavio Paz decided to share their creative work in the magazine’s pages because they coincided with some of Mondragon’s and Randall’s objectives. The poem “Mexico: The xix Olimpiad” written by Paz, appears with its translation in English as a means to shatter the false image that the government was trying to portray. Through the journal, subversive and critical ideas could reach other places. El Corno was also the only Latin American journal that translated Cuban poets into English in a moment when the U.S. government had lifted an economic embargo on everything coming in or out of Cuba. Mondragon and Randall decided to diminish the cultural gap distancing both countries by making the magazine, a bridge between both of them. Political Poetry by Roberto Fernández Retamar, Belkis Cuza Malé, the polemic Heberto Padilla, Fayad Jamís, and many more was read by an English audience for the first time ever. Of the 31 editorials, number 38 marked a watershed. In 1968, Mondragon’s and Randall’s ties with the Mexican government were affected. The editors lost the official economic benefits when they made public their posture against the repression in the Student massacre of Tlatelolco, which in October of 2018 will dress in mourning Mexico’s memory. Although protesting against the Vietnam War or against the military expansionism of the Unites States in Latin America, doing it against the Mexican government meant the loss of the federal subsidies. As, the “happy years” of El Corno ended, so did Gustavo Diaz Ordaz’s government. Unfortunately, not the repressive system of the State. Which caused the fight towards a democracy in Mexico to carry on. The destiny of the magazine was inevitable; it was forced to close. Its contributions, however, still remain. As a meeting space for exchange and dialogue it became the home of an international community of writers, artists and readers, whom, with a distinct vision, fresh ideas, and thirsty for change and revolution, fed an editorial home stablished for the defenders of freedom of speech. In Mexico, many prestigious writers supported the journal. Octavio Paz found a guide in the anthology “Twenty four contemporary Mexican Poets” edited in El Corno number 18 of April 1966, for his own anthology, Poesia en Movimiento. Even with this kind of support, the magazine had some negative critiques; Salvador Elizondo, for example, disapproved the editor’s project in his translation of the first page of Finnegans Wake by James Joyce, were to explain the word “Orangemen”, which comes from “orangutan”, that is “little man of the wild”, Elizondo believes Joyce might have been referring to Mondragon and Randall. His critique is acceptable if El Corno’s weaknesses are examined. Many editions contain several orthographic and punctuation mistakes, also, in various occasions, Randall has lamented not having published more women, and finally, some of the translations are not so efficient, Like in Arnold Belkin’s example (num. 19), who translates into Spanish “America” by Allen Ginsberg and in various verses, the word is censured, it is the case of “America I’m putting my queer shoulder to the wheel”, translated as “América voy a poner mi hombro neurasténico contra la rueda”; a closer and more daring translation would be, “America voy a poner mi puto hombro contra la rueda”. But this does not diminish the translation work; on the contrary, it was important because it allowed Hispanic readers to know the black entrails of the “American dream”. It also must not be forgotten that in the sixties there was not, in Mexico or the United States, a magazine that crossed cultural boundaries or that functioned as a window towards democracy inside a panorama of institutionalized restraint, like El Corno. There were other magazines in Latin America that had close purposes to those of Mondragón’s and Randall’s: Eco Contemporáneo from Buenos Aires and Casa de las Américas from Cuba, but they both took different paths. El Corno, in the other hand, has played an important part in our literature. El Corno allowed for a free transit of other literatures into and out of Mexico. Through the journal the reader had access to political poetry that sprang from different regions of the American continent, this poetry and the journal itself tried to renew the hope for justice in a time when inflexible, antidemocratic and dictatorial governments were at its peak. Even with the political shakings, El Corno, defied the mainstream culture for seven and a half long years. Padrón, Juan Nicolás. “El Corno Emplumado: Un verdadero proyecto de globalización de cultura”, en La historia del día, blog para compartir temas relacionados a la historia, la política y la cultura. <https://lahistoriadeldia.wordpress.com/2011/01/31/“el-corno-emplumado”-un-verdadero-proyecto-de-“globalizacion-de-la-cultura”/>. Randall Margaret. To Change the World. My Years in Cuba. New Jersey: Rutgers University Press, 2009. Correspondencia inédita, fechada el 17 de octubre del 2017. Ritchel, Elaine. “What´s Past is Prologue: El Corno Emplumado at Site Santa Fe”, The magazine, Nuevo México, septiembre de 2016, pp. 36-39. Silva Ibargüen, Gabriela. Texto, contexto e índices de El Corno Emplumado (1926-1969). Tesis de maestría de El Colegio de San Luis, septiembre 2017. Este año se cumplen 50 del movimiento estudiantil de 1968. En tal fecha, diversas revistas literarias se publicaban en la Ciudad de México con el propósito de generar un espacio para la difusión de obras de escritores y artistas del momento: La Cultura en México, Diálogos, El Rehilete, y, entre ellas, El Corno Emplumado / The Plumed Horn, editada por el poeta mexicano Sergio Mondragón y la poeta estadounidense Margaret Randall. La revista tuvo un cierre abrupto cuando los editores fueron reprimidos debido a su protesta en contra de los hechos violentos de Tlatelolco. El Corno, con su postura de resistencia a las injusticias sociales, se publicó en un momento crítico de la historia del continente americano. Hacia finales de los años cincuenta escritores norteamericanos, mexicanos y latinoamericanos migraban fuera de sus países debido a las persecuciones políticas desatadas por la paranoia anticomunista, venida de la segunda guerra mundial, origen ésta de una nueva tensión global: la Guerra fría. Además, Estados Unidos padecía los resabios de la guerra contra Corea del Norte (1950-1953) y los efectos de la represión macartista (1950-1956). El belicismo norteamericano llevó a la intervención en Vietnam (1961-1975), desatando la indignación juvenil, expresada en una serie de manifestaciones masivas contra la guerra. En éstas, el arte y la ideología convergían, especialmente entre los grupos contraculturales de entonces, como el Black Mountain College y la Generación Beat. Esos poetas rebeldes criticaron y denunciaron al gobierno por su afán de dominar a los demás. Cansados de dichos abusos y del sistema controlador, muchos decidieron viajar a México en busca de diversas libertades, entre ellas, la de expresión. 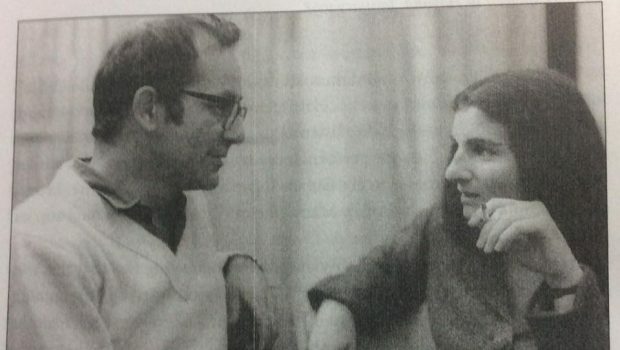 En 1959, Margaret Randall, entonces una joven poeta de 24 años asociada a los grupos poéticos de Black Mountain y la Generación Beat, se fue a radicar a la ciudad de México. Ella, como otros tantos, creyó que en México podría expresar sus opiniones de izquierda, pero, una vez en el país, viviría en carne propia el abuso despiadado de un gobierno autoritario, capaz de silenciar a sus ciudadanos. En los años cincuenta en México la corrupción ampliaría aún más la brecha entre la democracia ideal y la democracia real, pero el gobierno, terco en mantener una imagen de equilibrio interno, buscó cercar toda crítica posible. Una de sus acciones fue la cooptación: en el ámbito cultural, comienzó a subsidiar revistas literarias, periódicos y suplementos para acallar a las clases intelectuales. El Corno fue una de tantas que recibió estímulo monetario por parte del gobierno mexicano. Aun así, los gastos de la revista no eran completamente cubiertos. Por ello, varios artistas contribuyeron a sostenerla: Roger Bartra, Ernesto Cardenal, Thomas Merton, Julio Cortázar, Norman Mailer, Henry Miller y Samuel Beckett fueron sólo algunos de los donantes. Lecturas de poesías también fueron organizadas en distintas ciudades en apoyo a El Corno. La idea de publicar una revista trimestral de arte y literatura bilingüe nació en el departamento de Philip Lamantia, en la Zona Rosa, lugar de arribo para artistas, escritores y músicos viajeros, interesados en la creatividad Beat de Estados Unidos y en la poesía contemporánea de México. Durante esas tertulias, Lamantia, Homero Aridjis, Ernesto Cardenal, Juan Martínez, Harvey Wollin, Sergio Mondragón y Margaret Randall compartían sus textos en su lengua materna e interpretaban las obras de los demás, pero a veces no todo era captado: las barreras lingüísticas y culturales se interponían. La necesidad de comprender al otro llevó a Mondragón, Randall y Wollin −co-editor de los primeros dos números− a confeccionar una revista cosmopolita. Desde enero de 1962 a julio de 1969, 31 números de El Corno fueron publicados. Las aspiraciones centrales de los editores eran mostrar otras formas de creación, venidas desde distintas latitudes; facilitar un intercambio cultural entre los países de lengua hispana e inglesa; difundir los ideales pacifistas de la época, cuya raíz era una marcada conciencia espiritual y social; así como contribuir a un acercamiento entre los escritores latinoamericanos y norteamericanos, dos culturas supuestamente irreconciliables en una época en que el gobierno de Estados Unidos era el represor más visible de las naciones latinoamericanas. Incluso en 1964 el proyecto se enriqueció con la materialización de tres colecciones de libros, desprendidas de la revista El Corno, editando veintiún libros con el sello de la revista: la primera, Colección Acuario, plaquettes de poetas tanto norteamericanos como latinoamericanos, con su respectiva traducción y acompañadas de ilustraciones; la segunda, Colección la Llave, libros sólo en inglés; y la última, Colección la Ola, dedicada a la obra plástica. Una vez dentro del nido de El Corno, uno se encuentra con un símbolo de las luchas libertarias y creativas de la época. El ambiente de entonces estaba impregnado por un entusiasmo revolucionario, que contagió a Mondragón y Randall, quienes confiaban absolutamente en la posibilidad de cambiar el mundo mediante la literatura. Ante la imposibilidad de mantenerse ciegos a los problemas sociales, la revista se fue politizando. Los editores abogaron por la justicia, la libertad, la igualdad y el respeto a los demás, alcanzable mediante la fraternidad entre los artistas e intelectuales socialmente comprometidos. Tales objetivos determinaron las tendencias de El Corno: por un lado, la particular atención a la poesía −en un inicio, la poesía espiritual, la amorosa, la existencialista y la descriptiva se publicaban de manera equitativa, pero hacia mediados de la publicación se favoreció a la poesía política−; por otro lado, en una suerte de miscelánea literaria, el relato, el teatro, el ensayo, los fragmentos de novela y algunas entrevistas conformaron el interior de cada número. Estas colaboraciones estuvieron acompañadas de obras plásticas y visuales: fotografía, viñetas, pinturas, ilustraciones, grabados que, en la mayoría de los casos, no estaban relacionadas con los textos pero sí con la estética y gustos de los editores. Ilustraciones de Leonora Carrington, Felipe Ehrenberg, Roland Topor, fotografías de Nacho López y muchos más se imprimieron ahí. Además, también se dio espacio al género epistolar. Esta correspondencia entre colaboradores, lectores y editores permite, ahora, reconstruir el contexto literario de aquella época. Hacia 1966 El Corno se consolidó como una válvula de escape para escritores y artistas en busca de un lugar donde expresar sus preocupaciones políticas durante un periodo signado por la revolución, las guerras y los totalitarismos. Permitió que varios poetas mexicanos fueran conocidos en el ámbito de la cultura inglesa y que varios poetas de otros tiempos y otras culturas entraran en contacto con lectores mexicanos. Las 35 antologías poéticas de 18 países distintos publicadas a lo largo de su existencia hicieron de la revista una distribuidora de la literatura internacional en México. Al agrupar a los poetas también se le permite al lector ver una unidad formal y temática de la literatura del continente americano. Algunas de las antologías más importantes fueron la de poetas mexicanos contemporáneos como integrante de La Espiga Amotinada, Efraín Huerta, José Carlos Becerra y Octavio Paz, quienes, al coincidir con algunos de los objetivos de los editores de El Corno, comparten su trabajo creativo en las páginas de la revista. El poema “México: olimpiada de 1968”, de Paz, apareció junto con su traducción al inglés e un intento por derribar la falsa imagen del gobierno mexicano, un supuesto gobierno justo, respetuoso de los derechos humanos. 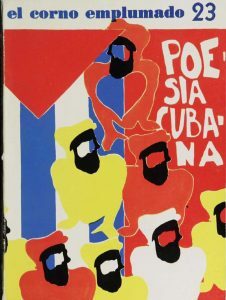 El Corno fue además la única revista latinoamericana traductora de poetas cubanos al inglés, en un momento en que el gobierno estadounidense había impuesto un bloqueo económico a todo lo proveniente de Cuba. 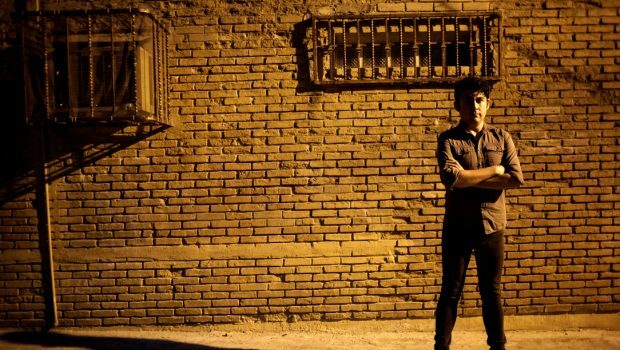 Mondragón y Randall decidieron disminuir la brecha cultural que distanciaba a ambos países. La revista fue también el puente entre ambas naciones. Poesía política de Roberto Fernández Retamar, Belkis Cuza Malé, del polémico Heberto Padilla, de Fayad Jamis y muchos más fue leída por primera vez por un público de lengua inglesa. De los 31 números, el 29 marcó un parteaguas. En 1968 las ligas entre Randall, Mondragón y el gobierno mexicano se vieron afectadas. Los editores perdieron los beneficios económicos oficiales cuando hicieron pública su postura de rechazo a la represión de la masacre de Tlatelolco. Si bien se podía protestar contra la guerra de Vietnam o en contra del expansionismo militar estadounidense en Latinoamérica, hacerlo contra el gobierno mexicano significó la pérdida del subsidio gubernamental. Terminaron los “años felices” de El Corno y el gobierno de Gustavo Díaz Ordaz, no así la lucha por la democratización del país ni el sistema represor del Estado. El destino de la revista era inevitable y cerró. No ocurrió igual con sus aportes. Como espacio de encuentro, intercambio y diálogo, se convirtió en el hogar de una comunidad internacional de escritores, artistas y lectores, quienes, con una visión distinta, más fresca, sedienta de cambio y revolución, alimentaron una casa editorial fundada para los defensores de la libertad de expresión. En México, varios escritores con prestigio respaldaron a la revista. Octavio Paz encontró una guía en la antología “Veinticuatro Poetas mexicanos contemporáneos”, editados en El Corno número 18, de abril de 1966, seleccionando algunos poemas para su propia antología: Poesía en Movimiento. Pese al apoyo de figuras importantes, El Corno tuvo detractores; Salvador Elizondo, por ejemplo, desaprueba la propuesta de El Corno en su traducción de la primera hoja de Finnegans Wake de James Joyce, donde, para explicar la palabra “orangemen”, que viene de “orangután”, esto es “hombrecillo de selva”, Elizondo explica que tal vez Joyce se refería a Mondragón y Randall. Su crítica puede comprenderse si se toman en cuenta las fallas de El Corno. Entre las más evidentes, algunas ediciones contienen errores ortográficos o de puntuación. Otra falla: en varias ocasiones, la editora se ha lamentado por no haber publicado a más mujeres. Una más: algunas traducciones no son del todo fieles, como la de Arnold Belkin −en el núm. 19−, quien traduce al español “América” de Allen Ginsberg y en varios versos censura algunas palabras; por ejemplo, el verso del original en inglés “América I’m putting my queer shoulder to the Wheel”, fue traducido en El Corno como “América voy a poner mi hombro neurasténico contra la rueda”. Una traducción más cercana y quizá atrevida sería, “América voy a poner mi puto hombro contra la rueda”. Pero no por ello se demerita el trabajo de traducción; al contrario, fue importante porque permitió a los lectores hispanos conocer las entrañas negras del “American Dream”. Tampoco debe olvidarse que en la década de los años sesenta no hubo en México, ni en Estados Unidos, una revista que rompiera con las fronteras culturales, ni fungiera como una ventana hacia la democratización, dentro de un panorama de represión institucionalizada, como sí lo fue El Corno. Hubo, sí, revistas en América Latina muy cercanas a los propósitos de Randall y Mondragón, como Eco Contemporáneo de Buenos Aires y Casa de las Américas de Cuba, aunque cada una tomó rumbos distintos. El Corno, por su parte, jugó un papel indudablemente importante en nuestras letras. 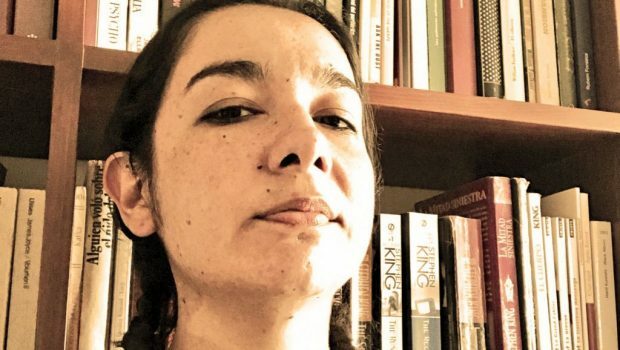 El Corno facilitó el libre tránsito de otras literaturas en México y fuera de México. 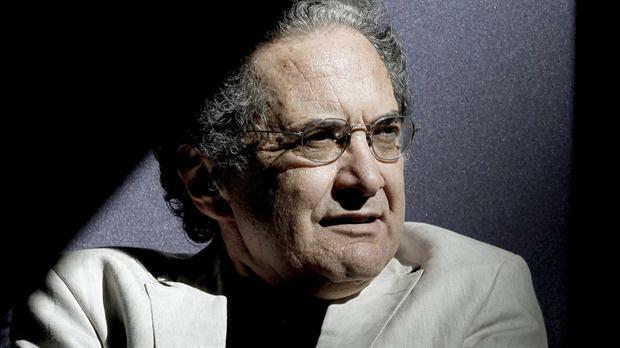 Gracias a esta publicación los lectores tuvieron acceso a la poesía política que brotó de distintas regiones del continente, la cual fue una apuesta contra la cancelación de la esperanza por parte de gobiernos inflexibles, antidemocráticos y hasta dictatoriales, puesta a favor de una sociedad más equitativa y libre. A pesar de las agitaciones políticas, El Corno desafió a la cultura hegemónica por siete años y medio.